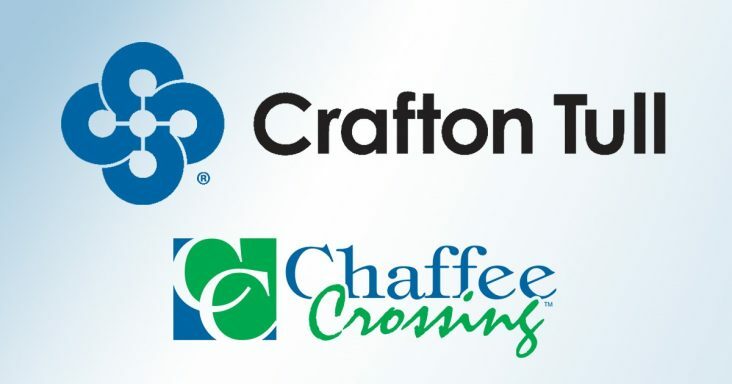 Crafton Tull will be opening an office in Fort Smith in this spring, company officials said Monday (Jan. 14). The civil engineering, surveying, architecture, landscape architecture, and planning firm has more than 200 employees working out of seven offices across Arkansas and Oklahoma. The eighth office will be in Chaffee Crossing at One McClure Place, 8101 McClure Drive in Fort Smith. One McClure Place developer ERC Holding, LLC courted Crafton Tull for the available space because ERC and many other organizations, including Fort Chaffee Redevelopment authority and city of Fort Smith, work with the firm regularly, ERC Chairman Rod Coleman said. Crafton Tull will be in the same building where ERC is, Coleman said, noting interior work is being done on the interior space for Crafton Tull, which should be completed in about 60 days. Crafton Tull has worked on about 90% of ERC subdivisions in Fort Smith, Coleman said. “They are a great engineering firm and regional developer. This will allow for some creative ideas from other sources and an opportunity to see some what is used in other areas brought (to Fort Smith),” Coleman said. Crafton Tull was commissioned to create a master plan for Chaffee Crossing in 2008 for 7,000 acres dedicated for private redevelopment by Fort Chaffee Redevelopment Authority (FCRA) when the federal government turned over Fort Chaffee to the Arkansas Army National Guard, the company website states. “This master plan incorporates the principles of smart growth through the identification of four distinct development nodes consisting of a variety of mixed-use scenarios. The plan seeks to support the development of an employment center while offering adequate space for both support services as well as residential uses,” the site states. The Phase I plan was adopted by FCRA in May 2009, Phase II in August 2009. Phase II consisted of the production of Chaffee Crossing Development Guidelines supporting the Phase I master plan. Phase II was completed in July 2010. The company was also instrumental in the widening of the Kelley Highway Bridge in Fort Smith from two to four lanes. Crafton Tull provided civil engineering, structural engineer, survey, and construction observation for the project, which won the transportation category for the Arkansas Council of Engineering Companies Award, the company website said. “We have done a lot of work in the [Fort Smith] area and have several clients there. [Opening the Fort Smith office] will allow us to work with our clients there in the best way possible,” said Daniel Ellis, a senior vice president with Crafton Tull. Ellis did not know yet how many would be employed in the new office or a projected open date. Crafton Tull has consistently been recognized as a leader in the built environment field for more than 50 years, a media release on the Fort Smith office said. “The firm has embraced cutting edge software and advanced technology while staying abreast of leading trends and training in planning and engineering. Currently, the firm has Arkansas offices in Conway, Fayetteville, Little Rock, Rogers and Russellville, and Oklahoma offices in Oklahoma City and Tulsa,” the release said. ERC has been constructing high-quality apartment homes, developing exclusive single-family additions, and strategic commercial developments in the South and Midwest since 1957.